MaxiJet MJ750 is a 670 litres an hour pump with a 164cm lift. 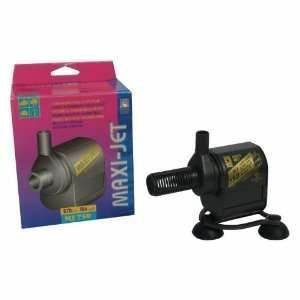 Each Maxijet water pump is supplied with instructions and comes wired ready to use with 2m of cable and 13amp plug. In hard water areas we recommend descaling your water pump periodically to stop hardwater deposits building up. Fits 13mm flexible tubing.